Anoushay Abbasi is a Pakistani actress, model and former VJ. 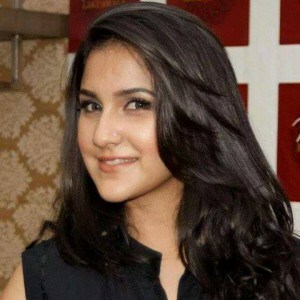 She is best known for the television work on series such as Tootey Huwey Per, Nanhi, Pyarey Afzal, Mera Saaein 2, Meri Saheli Meri Humjoli, Roshini Andhera Roshini, Malika-e-Aliya, Bhanwar, and Malika-e-Aliya Season 2. As VJ, she has worked on MTV Pakistan, Geo TV and Aag TV. Born on November 24, 1983 in Lahore, Pakistan, Anoushay has two siblings, a sister named Javeria, also an actress, and a brother, Shamoon. She began her career as VJ at MTV Pakistan, Geo TV and Aag TV. She made her acting debut in ARY Digital serial Tootay Huwae Per opposite Aiza Khan, Sami Khan and Mohib Mirza. On September 27, 2014, she married actor Ainan Arif, son of cricket player Taslim Arif and actress Rubina Arif. *She was born on November 24, 1983 in Lahore, Pakistan. *Her career was began as VJ. *Her older sister Javeria Abbasi, is also an actress.